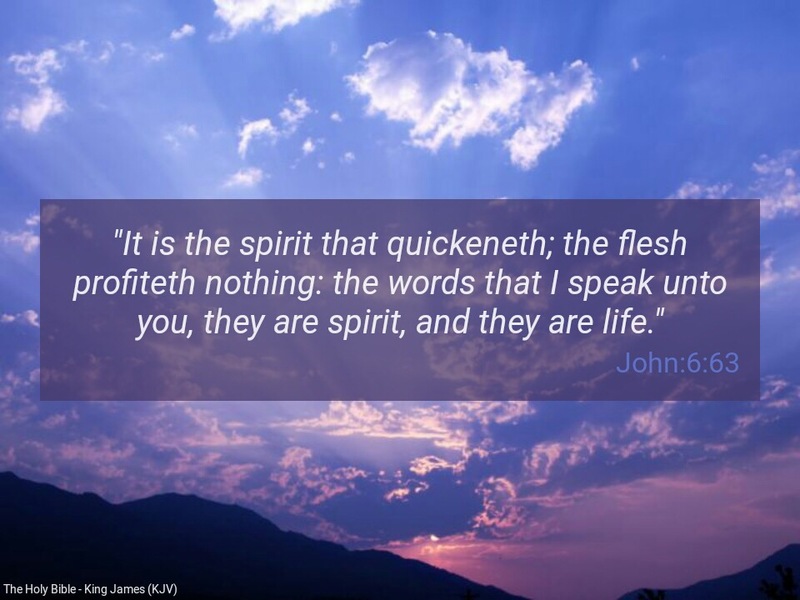 Word for Today: The words we speak are spirit-life or death. Many people in the church lack understanding of the differences between spirituality and religion. Jesus Christ , while on earth was the most spiritual person who ever lived, and the least religious. In fact, his greatest enemies were the religious people of his time. When I listen to some people talk,(including Christians), I can see they lack sound knowledge of the word of God. True spirituality should bring out the best qualities in a person in terms of patience, honesty, openness, transparency, sincerity, compassion, peace, truth and love. True spirituality enables a person to pay attention to every word that comes out from his mouth. If the word of God are spirit, then the word of man are spirit, since man was created in the image and likeness of God. Many people speak negatively (contrary to the word of God), into themselves and their situations at the slightest opportunity, without the understanding that what they repeatedly say with their mouths will eventually come to pass. Many Christians cannot imagine what they are missing for not spending time with the Word of God. Be a spiritual person. Be mindful of your thoughts and your words. The words you speak are spirit. Speak the word of life only. Have a Spirit- filled week. Stay blessed! Dear Father, help us to be mindful of our words and give us the grace to grow spiritually in Jesus mighty name. Amen. Previous Previous post: Word for Today: Whose works are you doing? Next Next post: Word for Today: The word of God never returned void.